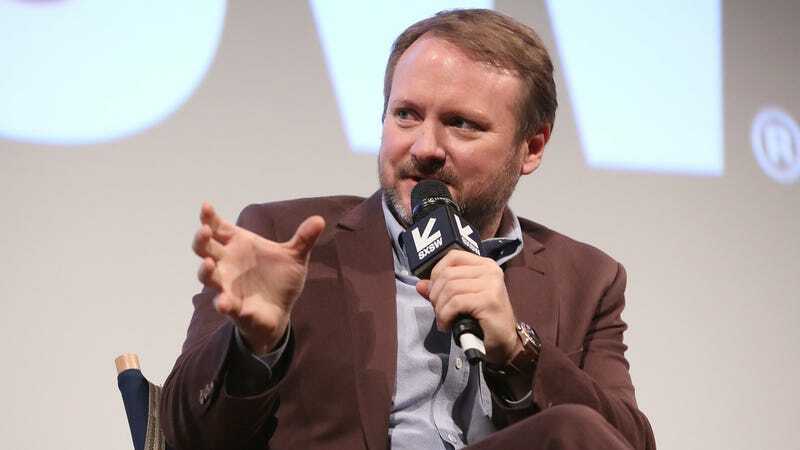 Star Wars: The Last Jedi director Rian Johnson attends the SXSW premiere of behind-the-scenes doc The Director and The Jedi. The contingent of fans who claim that the inclusion of more women, people of color, and queer people are ruining Hollywood is probably very small in reality. But that doesn’t change the fact that these people feel emboldened to go after those they don’t like and attempt to make their lives a living hell. There are countless numbers of “good” fans who spend plenty of time explaining why diversity is ultimately making genre franchises stronger and more narratively interesting, but—even together—their voices don’t have nearly the same kind of reach as people like Johnson’s do. There’s the idea that explicitly addressing a fandom’s bad behavior could have the unintended effect of backfiring and ultimately end up hurting a movie’s bottom line. But by ignoring it completely, studios (or other entities) send the message to the rest of the fandom that the abuses fans are suffering at the hand of their peers is not a concern. Yes, there are plenty more Star Wars fans out there that identify with the Resistance (which, you know, is kind of the overall message of the franchise) as opposed to the First Order, and they will continue to love and care about Star Wars for years to come. But there will always be fans who would rather act in bad faith than accept that Star Wars isn’t only for them. It would be in Lucasfilm and Disney’s best interest to make it crystal clear that they don’t support or condone that reprehensible behavior.